UFC TUF 27 is on its way. Brad Tavares and Israel Adesanya will enter the cage together, but only one of these middleweights is going to walk out under his own power. If you’re hoping to watch the match on Friday, July 6, through Kodi, you may have a few, but very limited options. We’ll show you how you can watch UFC TUF 27 on Kodi. UPDATE: Here’s how to watch UFC 229 on Kodi (McGregor vs Kabib) or how to watch McGregor vs Kabib live online for non Kodi users. 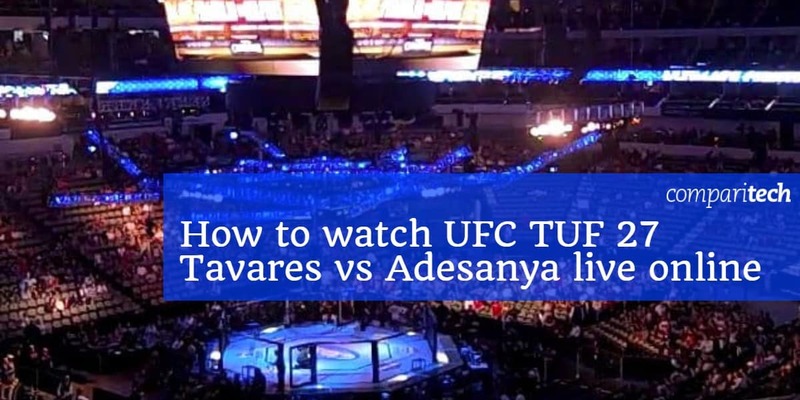 Your best options to watch UFC TUF 27 Tavares vs Adesanya through Kodi are addons that will connect you to a paid streaming service, and there aren’t many available. Those that are available, however, will have blackouts and geographic content restrictions in place. You can bypass those restrictions using a virtual private network, or VPN. A VPN will let you connect securely to a server in the country of your choice, changing your IP address and making it appear as if you’re connecting from the chosen country. And for Kodi users, in particular, safe browsing and streaming are necessary. Even legitimate Kodi addons can carry malicious code that allows addon developers to steal data or hijack your computer and network. We recommend you use IPVanish as your go-to VPN of choice. It completely evades detection, lets you stream the content you want in high quality, and has a no-logs policy to protect your identity. You can also use the service’s secure obfuscation method to beat back VPN detecting technologies. READER DEAL: Save up to 60% on IPVanish here. This includes a 7-day money-back guarantee so you can try the service risk-free. The only legitimate options among these are Fox Sports, TSN, and BT Sport. Of those, Fox Sports is the only one you’re going to be able to access legally through Kodi. For that, you’ll need PlayStation Vue and the PS Vue Kodi addon. You can download the PS Vue Kodi addon from the Official Kodi Addon Repository. Once installed, you will need to connect to your PlayStation Vue account. From there, you can stream the main card event live. For a few additional legal and live streaming options, check out our guide on how to watch UFC TUF 27 live online from non-Kodi sources. UFC fights tend to be extremely popular among unofficial streamers. While the legal streaming options can be very restrictive, illegal streaming should be avoided. You will find no small number of illegal streaming options, especially from Kodi addons that claim to offer legitimate streaming choices. Some Kodi addons may even request money to view their streams, which should be avoided. There are many others. However, we’ve found that the number of sports-specific Kodi addons have diminished dramatically in the past 12 months. The number of legal options hasn’t changed much, but those who choose to use the unrecommended infringing addons are likely noticing their options dry up fast. An increasing number of copyright infringement cases against third-party addon developers has sent most away from the scene, especially when it comes to sports. Tavares vs. Adesanya will be the premier match for The Ultimate Fighter 27. As the finale, there are two prelim matches and the main event. You can also catch the weigh-ins, which take place on July 5. No VPN is needed for the weigh-ins, as these are typically public and easily viewable in a number of locations with plenty of news coverage. Weigh in: Thursday, July 5 @ 4 p.m.
Prelims (Fight Pass exclusive) – Friday, July 6 @ 3:30 p.m.
Prelims – Friday, July 6 @ 5 p.m.
Main card – Friday, July 6 @ 7 p.m.
Post-fight press conference – Firday, July 6 @ 10:15 p.m.
See also: How to live stream UFC TUF 27 online (this article details options of streaming the event without Kodi).